Chilly and rainy weather keeps sending me in the direction of big Italian reds. They just seem to fit the season. There’s nothing like a big bowl of pasta and glass of something bold, red, and rich to warm you up when the weather is cold or dreary. 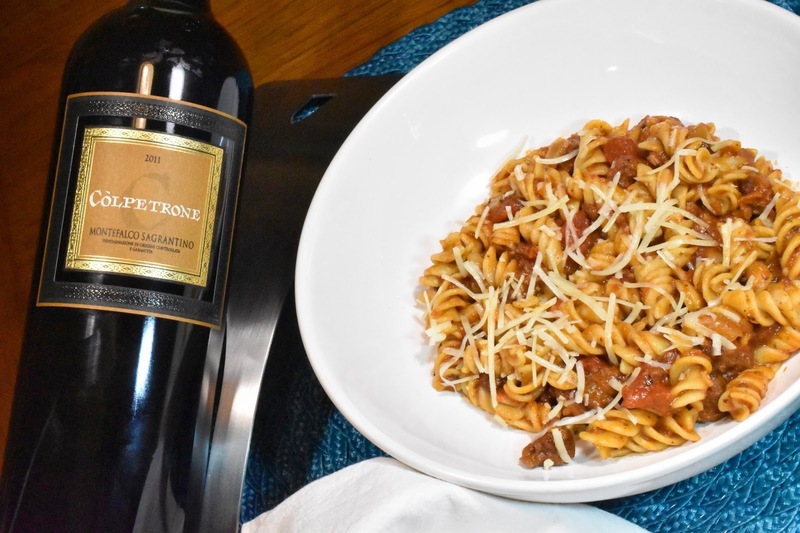 The Italian Food, Wine, Travel blogging group set Sagrantino from Umbria as this month’s theme and it really seemed like the perfect thing to reach for on a recent evening. It had been a while since I’d had one of these, and I’m happy to have had the excuse to reacquaint myself – it’s a pretty cool wine. It’s a really ancient grape that has been in Umbria around the town of Montefalco for centuries; it was potentially described in the writing of Pliny the Elder. The name probably is derived from the Italian word sacro or ‘sacred’ thanks to the wine's use for sacred purposes. Alternatively, the name might have its origins in a word meaning ‘feast.’ Despite the pomp contained in the name, the grape went nearly extinct. Thankfully, in the 1960’s Marco Caprai and a few other local producers set about pulling the grape from its grave. It took a while, but they managed to get DOC status for the wine in 1979 and it was later promoted to DOCG in 1992. It’s still really only made by a few producers in the area and not really outside it, so it has an air mystery and rarity to it. Going even further, Sangrantino has “unique characteristics that bear no similarities with any other grape variety in Italy,” according to the website for Montefalco’s consorzio. It was historically made as a sweet, passito wine (made from dried grapes); the dry style came about fairly recently given the grape's long history. As such, the DOC for the passito style was actually established earlier in 1977. This style is now the more rare of the two. Sagrantino is SUPER high in tannins. It actually potentially has the most of any grape–more than Cabernet Sauvignon, Nebbiolo or Tannat. These are good for a couple of things. Tannins act as preservatives in wine, which allows these wines to age a very long time. Tannins are also a type a polyphenol, which are antioxidants, and we know those are really good for us too. So, yeah, this wine is basically a health food. The tannins do have to be managed so that they’re not super aggressive. For this reason, Sagrantinos are typically aged first in wood and then in the bottle. (DOCG wines are required to be aged for 37 month total, 12 months of which must be in wood.) The wines are really deeply colored, and you’ll tend to get darker fruit notes to match, so expect blackberries and plums, as well as some sweet spice notes coming from the wood, as well as some savory flavors. Given all their structure, Sagrantinos can usually can use a good decanting. 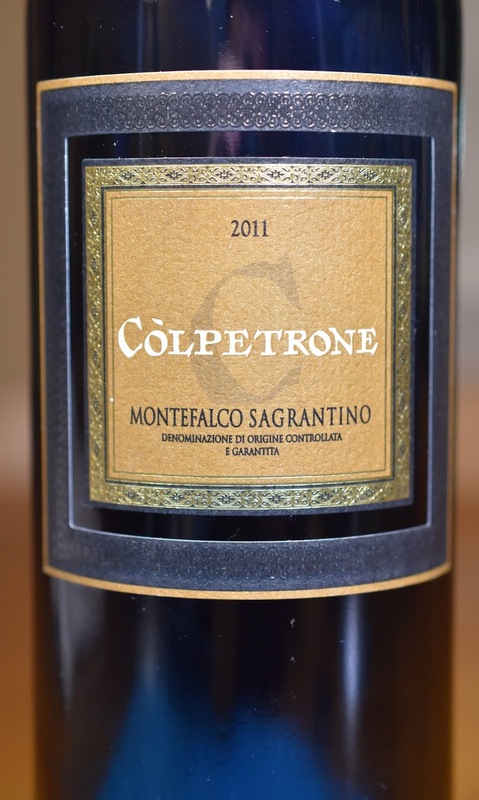 Còlpetrone Montefalco Sagrantino seems to be one of the easier to find options of Sagrantino in the U.S. The winery is owned by Tenuta de Cerro which belongs to the Unipol Insurance Group. I must admit that I’m sometimes a little skeptical when I find out a winery is in under the ownership of big company; however, Colpetrone is listed as a top example of Montefalco Sagrantino in pretty much every publication I looked at. I picked up the 2011 at Wines on Piedmont in Oakland on the recommendation of one their sales associates that I know through a couple of my tasting groups. Boyd did not lead me astray. The day Greg and I opened this bottle we picked up notes of black cherries, licorice, tobacco, spice, savory herbs and a touch of tomato paste. There are also earthy leather notes that smooth out as the wine opens up. This is definitely a full-bodied wine with grippy tannins. The acidity was between medium to medium+, but there’s enough to hold it together and the wine is well-structured. 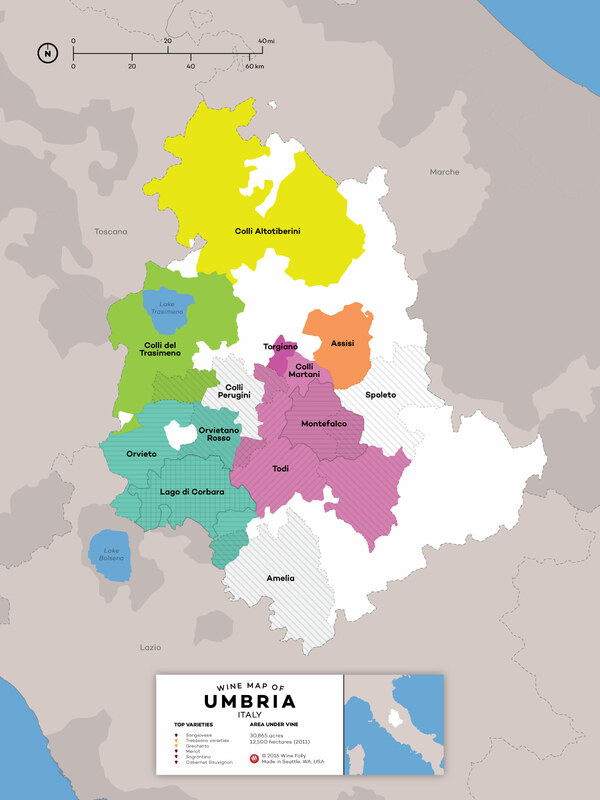 When I looked up the foods of Umbria for inspiration, I found that truffles are common in the cuisine there. That certainly fit the earthy factors in the wine. I happened to have a can of Red Pesto and Truffles from Urbani, a company that just happens to be based in Umbria. What luck! Almost perfect. Almost. However, both Greg and I couldn’t knock the feeling that this wine really wanted something meaty alongside it. Boyd, who recommended the bottle, had mentioned he’d just had this wine with a pasta Bolognese and that it has been a delicious match. I decided to marry the two ideas into pasta with Red Pesto & Truffle Meat Sauce. We’re trying to finally restart our healthy eating habits for the new year, so I opted to serve it on Brown Rice and Quinoa Fusilli Pasta , but even so, this was DELICIOUS! The sauce was awesome, easy, and will definitely now become a regular part of our repertoire. It also paired with the wine like gangbusters! The tomatoes in sauce resonated beautifully with the wine, and the wine also developed attractive smoke and pepper notes alongside the sauce. Super Yum! Stay tuned for a look soon at Sagrantino pairings at a winemaker lunch. The winery suggests this wine can age for 10 to 15 years. I picked up this bottle at Wines on Piedmont for about $25. I found that to be a completely Solid Value given the structured power of the wine. I'd say it's even a Overachiver – It's a lot of wine for the money. You can also find it on Wine-Searcher and Wine.com. Not only is this sauce rich and complexly flavored, it's deliciously packed with umami flavors, it's also incredibly easy to make. Sweat the diced onions in a little olive oil (about 2 tbsp) in a pot or large pan until soft and translucent, about 7 minutes. Add in the beef, breaking it up into crumbles with your spatula or spoon, and season with a large pinch of salt and pepper. Cook until no longer pink and starting to lightly brown, about 7 to 10 minutes. Add in the garlic and the tomato paste. Cook for another couple of minutes, until the tomato paste is starting to darken. Sprinkle the flour on top and stir to combine so that the mixture forms a paste. Allow it to thicken and cook for another couple of minutes. Deglaze with the balsamic vinegar. Add in the bay leaves, beef stock, and the diced tomatoes, bring to a boil a then reduce to a simmer. Taste and adjust seasoning. Cook for at least 30 minutes to allow the flavors to meld and the sauce to thicken. (If you have more time, simmer for longer to really allow the flavors to come together.) If at any point the sauce seems too thick, stir in a little more stock as needed. Reduce the heat to low then stir in the red pesto with truffles. Season with salt and pepper as need. 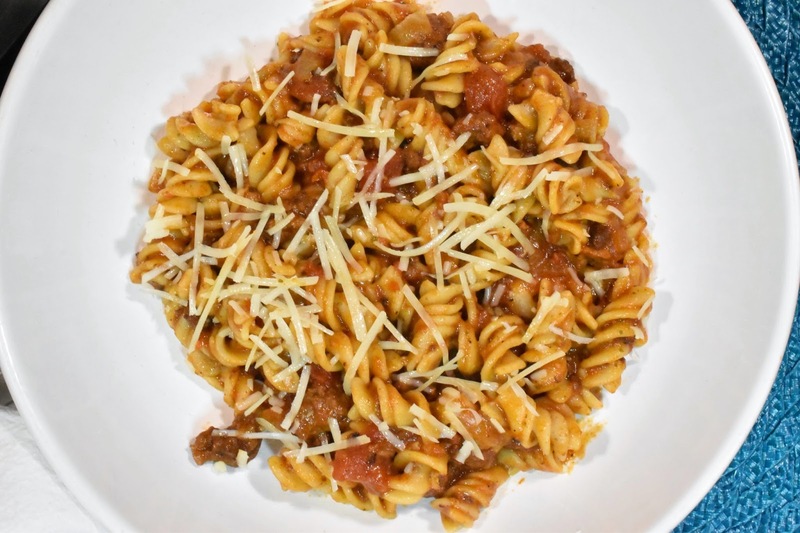 Remove the bay leaves and serve over pasta of your choice with Parmesan cheese sprinkled on top. 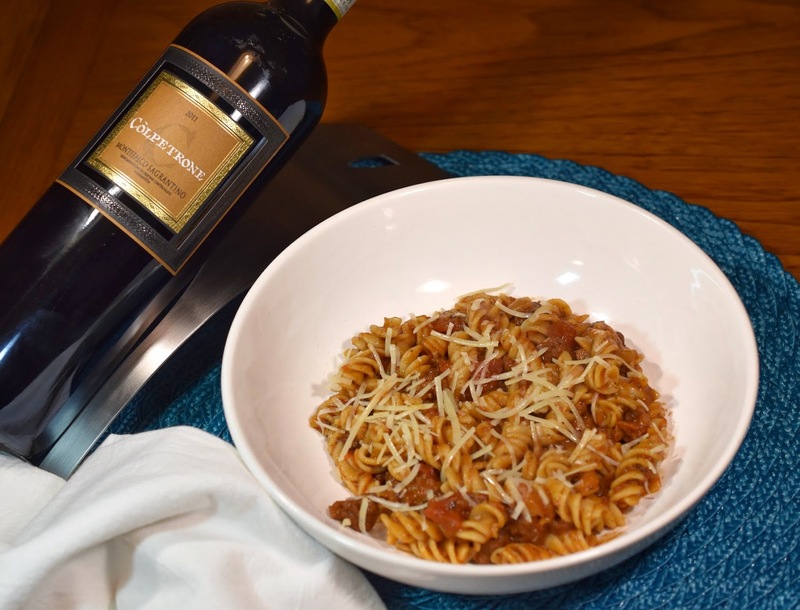 Gwen from Wine Predator shares "Get to Know Sagrantino"
Red pesto and truffle sauce? Yes, please! Your pairing sounds wonderful - and healthy to boot. Thanks for sharing your recipe and your background info on Sagrantino. I'm just getting started with this grape and I'm already intrigued. Thanks Lauren! It was a really fun topic. Thanks so much for your comment. Please let me know if you do try it. It stands quite interesting. I loved that brand of wine. I'm gonna try the recipe you gave me. It stands quite healthy and beautiful. Just the way I want it. Thanks so much -- let me know if you end up trying the recipe and how it turns out. 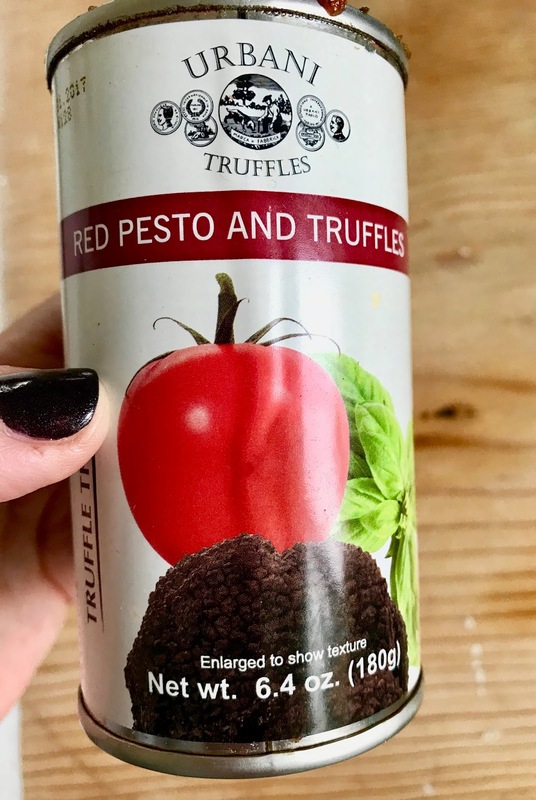 How can you go wrong with a can that says red pesto & truffles?! Sounds delicious. I agree that these wines crave something hearty. You really can't go wrong with that mix!